For long lasting and durable tapware, you’ll not find a better product than the Cube 1/4 Turn Wall Assemblies. 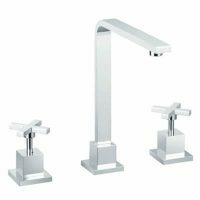 A stylish, water efficient and practical tapware unit, this wall assembly is the perfect addition to your kitchen or bathroom. Offered by Alpine, the wall assemblies feature a quarter turn design and are incredibly convenient to use. They do not require any washers and reaches full flow with just a quarter turn. This tap wall assembly is incredibly elegant to look at. 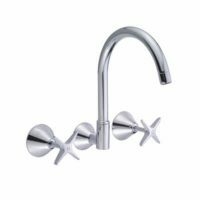 It features a modern chrome finish with solid brass construction and is equipped with easy grip, ergonomic lever handles. This product will definitely suit the décor and interiors of your home. Robust and durable, the Cube 1/4 Turn Wall Assemblies will certainly last you many years. Alpine has also designed this product for easy installation. 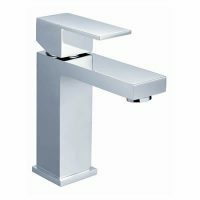 This is a top quality product offered by one of Australia’s leading tapware manufacturers. At Ross’s Discount Home Centre, the Cube 1/4 Turn Wall Assemblies is a top selling product. This wall assembly is currently being offered at a rock bottom price, which is unmatched in the market. So go ahead and buy this tapware now!